Copyright 2015. Hearst Communications, Inc. All Rights Reserved. Distributed by NewsBank Inc. The addition of this “fast-casual” option, with lower-priced and easier-to-prepare items, represents the latest shake-up for a chain that has seen its value plummet since 2008. 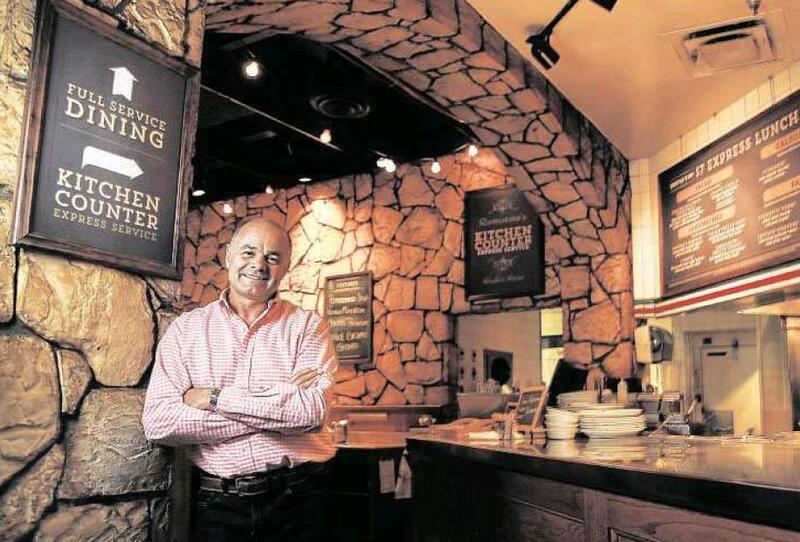 Macaroni Grill’s newest owners are hoping to attract more of the typically younger customers drawn to places like Chipotle, Panera Bread and Zoës Kitchen, while not abandoning the full-table service it has provided for 27 years. “We decided to play in both spaces,” CEO John Gilbert said recently at the Macaroni Grill at 5802 Westheimer Road. The makeover comes amid an industrywide shift as restaurants struggle to keep pace with demographic changes, diners’ ever-evolving moods and a post-recession dining landscape that favors new, fresh, quality and quick. Gilbert took over earlier this year after the sale of the company by Houston-based Ignite Restaurant Group for just $8 million. Ignite had paid $55 million for the properties two years ago, taking them off the hands of a California private equity firm that had given Dallas-based Brinker International $88 million in 2008. The number of restaurants in the chain dropped as well, to 147 today from 200 at the time of the Brinker sale. Those 147 locations churn out annual sales of about $350 million, serving about 20 million meals each year. However, Gilbert saw much room for improvement. The restaurants had undergone only one makeover once since 1992. That is a far longer interval than the seven years that Gilbert said is ideal. As the restaurant chain’s brand aged, so did its core customer. Part of the formula for Mac Grill’s turnaround is a remodel. The dimly lit interiors will undergo changes to make better use of each restaurant’s ample space. The exteriors are being studied for more eye-grabbing details that can capture passing traffic. Those changes are to complement the most noticeable shift – the mix of express and casual service, cashing in on what Gilbert said is an undeniable industry change toward express service. The company first tested the dual-concept model in a Cleveland, Ohio, restaurant. First came express lunch. Customers order at the counter from a different menu more suitable for quicker service, with more “handhelds,” like sandwiches, plus calzones, pastas and spaghetti. Express customers get a number and take a seat. The chain took its express lunch national in October, then added a dinner express menu in February with a seven-minute guarantee for the $7 lunch and nine minutes for the $9 dinner. Of the 61 billion American restaurant visits in the year ending in May, fast casual accounted for 5 percent of the market, said Bonnie Riggs, a restaurant industry analyst with NPD Group. Still, it’s the segment everyone’s talking about. In 2009 and 2010, during the recession, overall restaurant industry growth was negative two years in a row for the first time. Overall growth has been flat since. The segment bucking that trend is fast casual, which has posted 7 to 8 percent quarterly growth. All of this is happening as the restaurant industry now features more options for ready-to-eat, fresh food – think, supermarkets and enhanced convenience stores – and sees, increasingly among millennials, more cooking at home. “It’s been a real battle for market share, and with this one segment growing, everyone is seeming to try and emulate it,” Riggs said of fast casual. While mixing fast casual with casual is attractive, Darren Tristano, executive vice president of food service consulting firm Technomic, says it can have its pitfalls. One challenge is the potential for customer confusion. Those who know a restaurant’s brand will expect full service, and there can be a learning curve for others. There’s also the risk of alienating core customers. Some brands have created offshoots to tap the express service market. Examples include Pizza Inn’s Pie Five and Red Robin’s Burger Works. Other brands have tried and failed. The best use of a hybrid model is to boost lunch sales with more value, convenience and service, Tristano said. Gilbert said that is happening with Macaroni Grill’s changes to date. Lunch sales, which represent about 30 percent of the chain’s business, have increased by about 20 percent. Lunch express, so far, is more lucrative than express dinner. Customers will begin to see the other changes soon. A Houston location will undergo the first interior remodel within a few months. The company continues to explore additional express-service menu items, a new pizza-menu lineup, steakhouse items, additional salads and seafood. The dozen new express-menu items are being evaluated for their popularity, with such items as parmesan truffle fries and brunch offerings being explored. There also are plans to test a “wine-on-tap” system and an express-only version of the restaurant – all part of the effort to retain its loyal customers and appeal to younger diners. “The bigger risk is not doing anything,” Gilbert said. Gilbert said, too, that he admits the chain has to catch up to its competitors. This entry was posted on Friday, July 10th, 2015 at 11:56 am and is filed under Economy, Fast Casual, Growth, Growth Opportunities, Millennials, New Product Tests/Mentions, Price. You can follow any responses to this entry through the RSS 2.0 feed. You can leave a response, or trackback from your own site.